Confirmed: Plea Deal In Works For Suspect In Tucson Shooting Rampage : The Two-Way Jared Lee Loughner was indicted last year for a shooting that left six people dead and 13 wounded, including former Arizona Rep. Gabrielle Giffords. He pleaded not guilty in March 2011. "A law enforcement source familiar with the case confirms that a plea deal is in the works that would result in Jared Lee Loughner spending life in prison," NPR's Carrie Johnson reports. But, she adds, the deal is "contingent on the judge finding him competent." Loughner is accused in the Jan. 8, 2011, shooting rampage at a meet-and-greet event then-Rep. Gabrielle Giffords (D) was holding in Tucson. Six people were killed and 13, including Giffords, were wounded. Carrie also says a "status conference" is set for Tuesday. 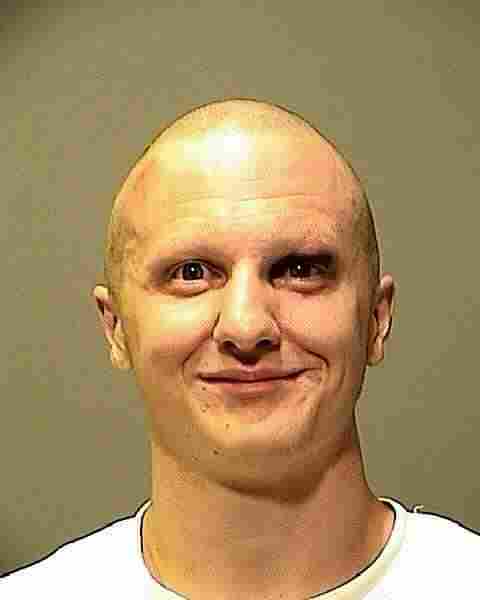 Jared Lee Loughner, who was indicted last year for the Tucson, Ariz., shooting rampage that left six people dead and 13 wounded, including former Arizona Rep. Gabrielle Giffords, is set to plead guilty Tuesday, media report. The Los Angeles Times first reported the news, citing a source who said that mental health officials believe Loughner is competent to understand the charges against him. Among the other organizations saying he plans to plead guilty is The Associated Press. "A person familiar with the case," the AP reports, says the plea would result in a life sentence. After the Times' story, The Wall Street Journal also reported he would plead guilty, citing "an official familiar with the case." So has Fox News. "The terms of the plea arrangement remained unclear Saturday on whether Loughner would admit guilt to all or some of the charges in return for a lengthy prison sentence rather than risk a potential death penalty verdict at trial." The charges stem from the mass shooting on Jan. 8, 2011. Loughner is accused of opening fire on people in a Tucson grocery store parking lot, where Giffords was meeting constituents. Several people were shot before he was tackled to the ground. Giffords was shot in the head. She stepped down from Congress in January to focus on her recovery. Last month, Mark wrote about a photo of Giffords with her husband, Mark Kelly, standing atop a mountain in the French Alps. The U.S. Attorney's Office in Arizona tells NPR's Ted Robbins it will "neither confirm nor deny" the deal.